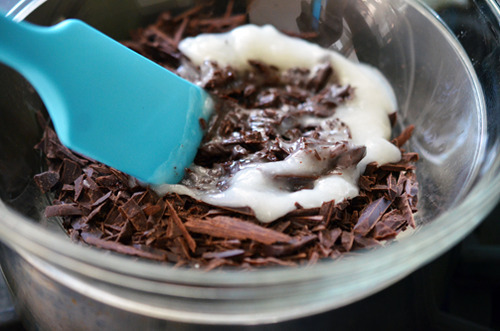 Who’s in the mood for a frosty, nutty, chocolatey treat? 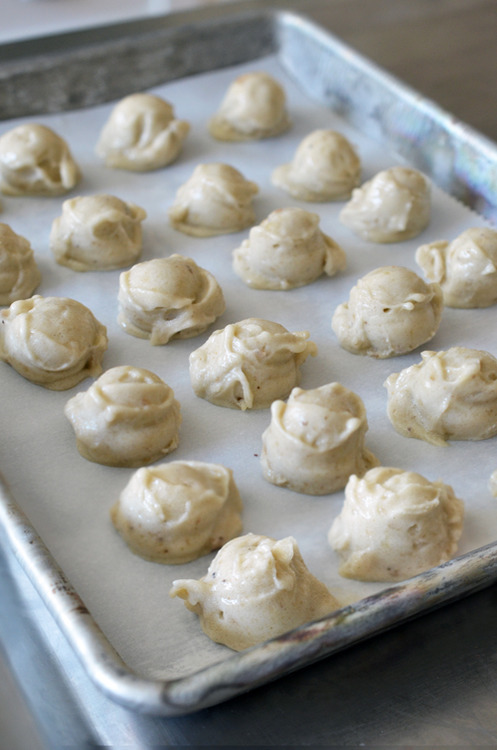 By merging together two of my favorite recipes—The Kitchn’s One Ingredient Ice Cream and Irvin Lin’s homemade Magic Shell—I came up with this simple, bite-sized confection. The steps are easy, but timing is key. You must wait for the “ice cream” to freeze completely (twice!) before proceeding, and then you gotta work fast. Otherwise, you’ll end up with melty brown lumps. 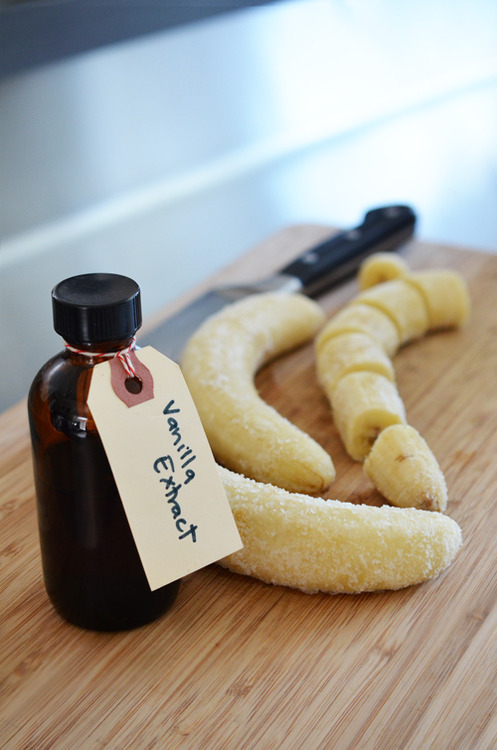 Six Ingredients + Patience = Happy Little Monkeys. …and blitz until smooth and creamy. 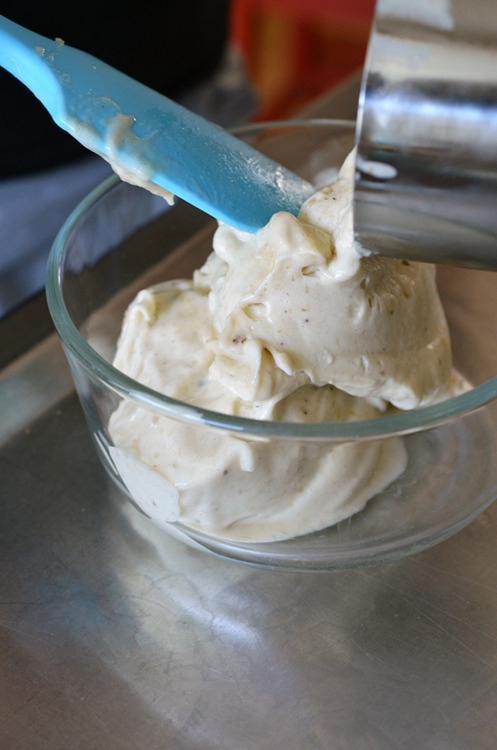 Transfer the ice cream to an airtight container and freeze until solid but scoopable (about 2 hours). I know you’re itching to complete the recipe, but it’ll take some time for the ice cream to harden. Go for a long, leisurely walk to the park, and avoid opening the freezer every 20 minutes to check on your ice cream. You’ll drive yourself crazy. 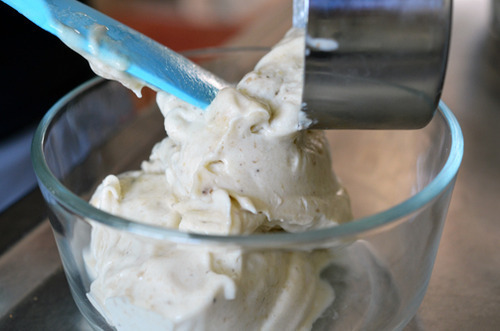 Once your ice cream has firmed up, use a small disher to scoop it into teaspoon-sized balls. 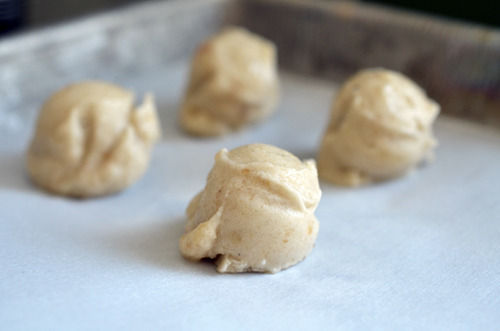 Place them on a parchment lined tray. 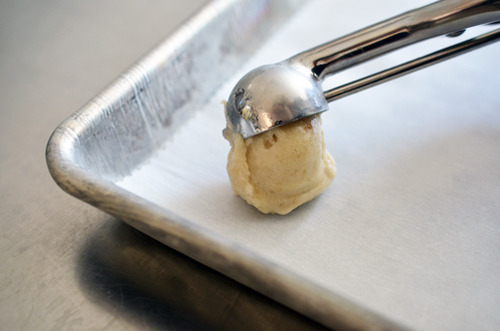 Work quickly—you don’t want your ice cream to melt. My littlest disher (yes, as a gadget junkie, I have a whole range of sizes), yielded approximately 24 balls. Place the tray in the freezer and chill until the scoops are solid. Really solid. If you can stand the wait, I recommend letting them sit overnight in the freezer. Trust me on this. Make sure the water does not touch the bottom of the bowl. 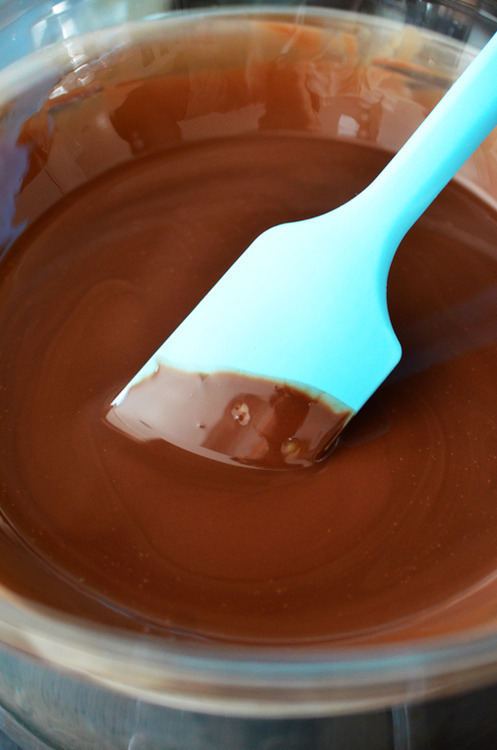 Stir the chocolate mixture constantly until completely melted. 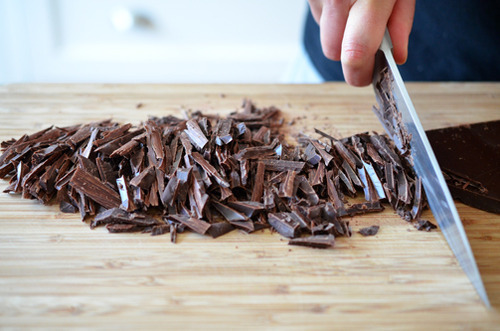 Take the chocolate off the heat and let it cool to room temperature. It should stay liquid for several hours as long as your house is above 70°F. If your house is colder than that, your air conditioning is on too high. …or just spoon it on. 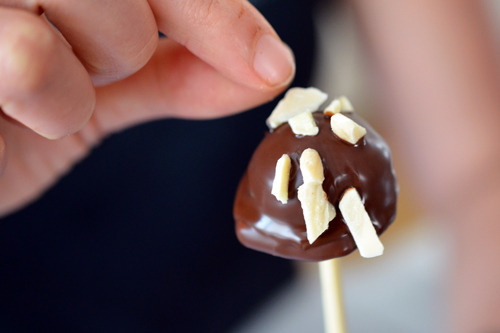 Before the chocolate shell hardens, sprinkle on the chopped almonds. 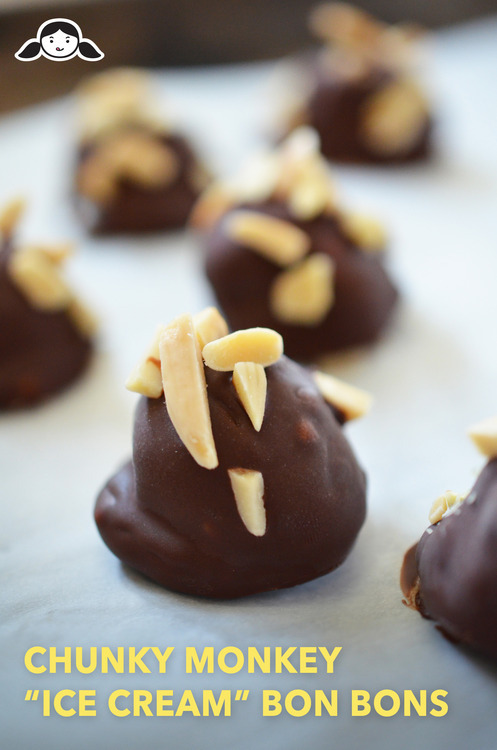 …or you can keep your bon bons in an airtight container in the freezer for up to a couple of months. Now go make your little monkeys happy! 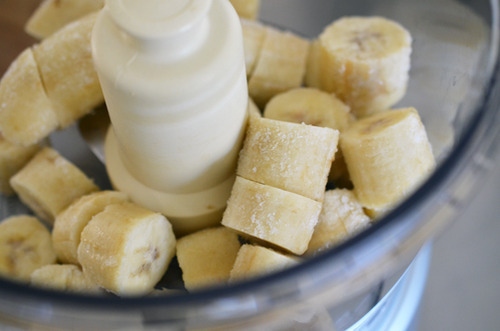 These paleo and vegan chocolate and banana frozen treats are super simple to make! 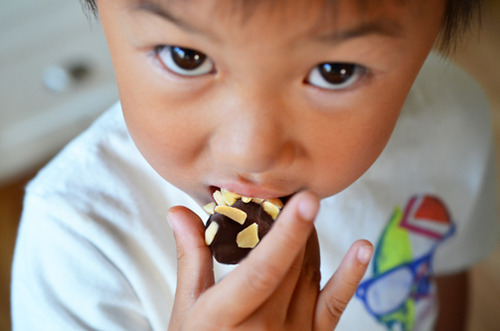 Chunky Monkey Ice Cream Bon Bons appeal to the kid in all of us! 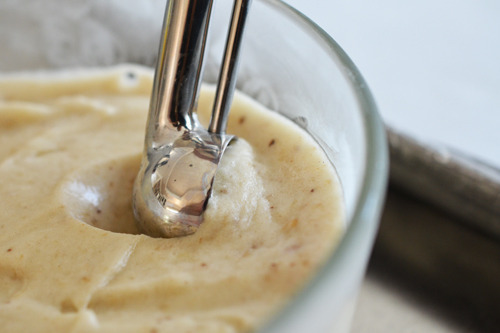 First things first: you gotta make your banana ice cream. 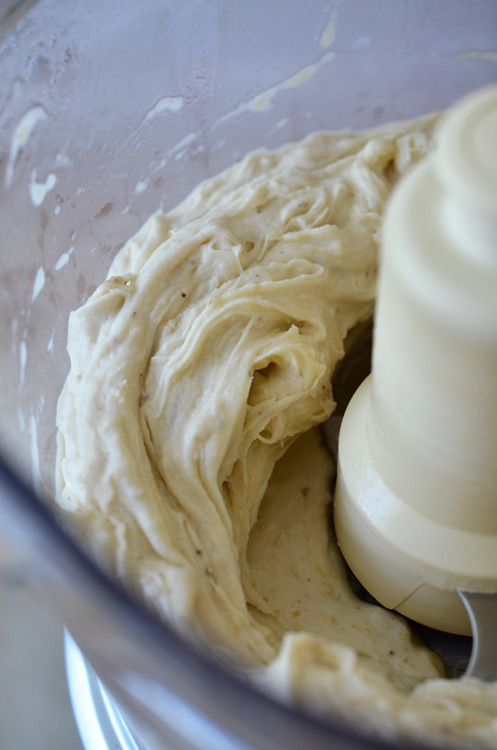 Toss the frozen banana chunks and vanilla into a blender or food processor and blitz until smooth and creamy. Place the tray in the freezer and chill until the scoops are solid. Really solid. If you can stand the wait, I recommend letting them sit overnight in the freezer. 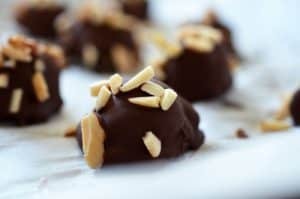 When you’re ready to finish assembling the bon bons, throw the chocolate, coconut oil, and salt in a heat-proof bowl and place the bowl over a pot of simmering water. (This is what you do if you don’t have a double boiler.) Make sure the water does not touch the bottom of the bowl. 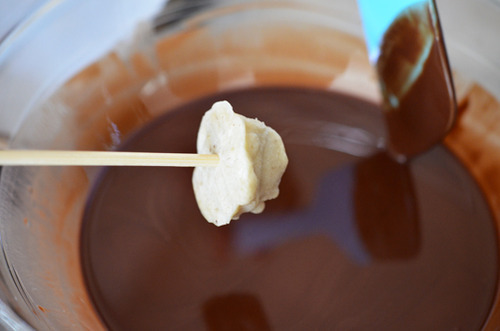 Stir the chocolate mixture constantly until completely melted. Alternatively, if you prefer using a microwave oven, you can just nuke the chocolate mixture in 30 second increments until melted. Remove the solid scoops out of the freezer. 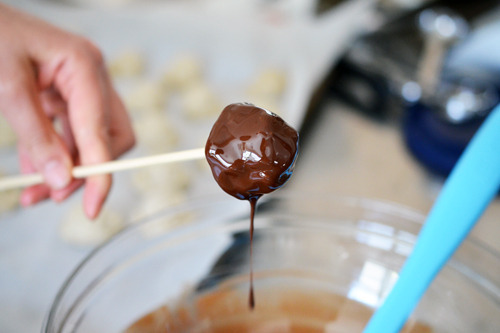 Stab a skewer into the flat bottom of an ice cream ball, and quickly dip it in the melted chocolate or just spoon it on. 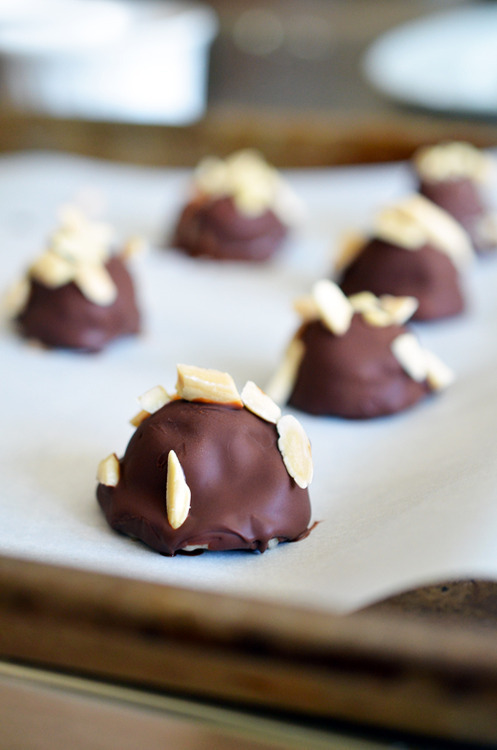 Before the chocolate shell hardens, sprinkle on the chopped almonds. Don’t dawdle. 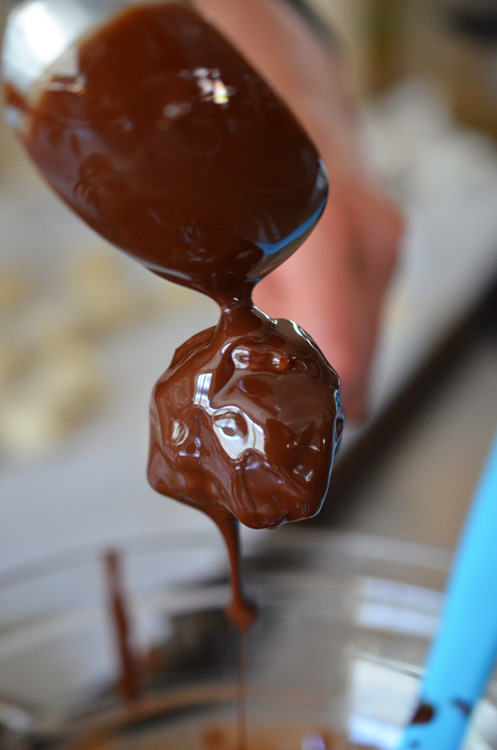 The “ice cream” can melt quickly, and the chocolate magic shell hardens fast, so the most efficient way to coat these treats is to get the whole family involved. 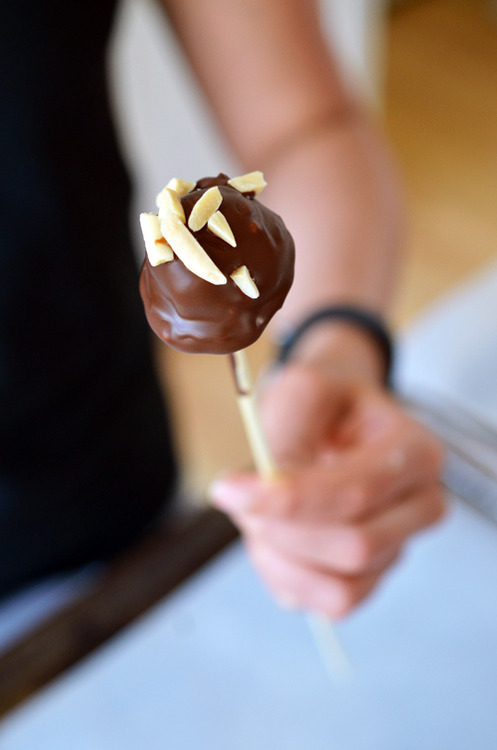 Give everyone a skewer—you can eat as you make ‘em. 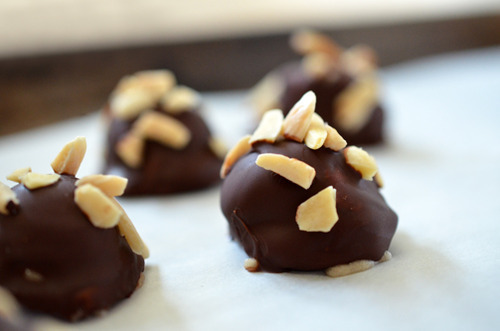 You can store the Bon Bons in the freezer for up to 3 months.